Get immediate access to international financial markets without the need of installing any software whatsoever. 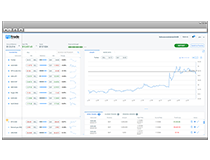 Enjoy a reliable trading solution via an internet connection and a few clicks of your mouse – regardless of the type and version of your browser. With the Web Fortrader you can open, modify and close trades - in the office, on vacation or any other situation you please. It’s fully synced, fast and easy to use. Stay connected and manage your account from anywhere and at anytime. 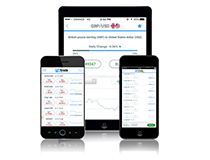 Easily and effectively turn your Android or iOS device into a virtual trading desk. Make smart and successful trading decisions from the palm of your hand, and boost your chances to capitalise from both bull and bear markets. Trade all kinds of currencies and CFDs with our intuitive software and enjoy the accuracy and functionality of fully-automated trade executions. Download and access the platform to place orders online easily and securely. Plus, reap the benefits of live-streaming price quotes, charts and built-in indicators to improve your trading strategies and get the most out of your capital. 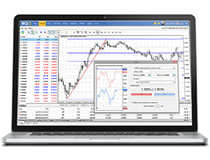 Trade on global Forex markets on your PC. Streaming 100s of real-time charts and stock quotes, as well as leading indicators, oscillators and EA strategies, the automated desktop station supports all your trading needs and much more. 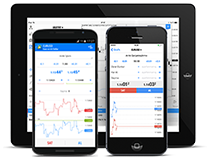 Use the Fortrade MetaTrader 4 Android/iOS App to trade on +300 Forex and CFDs at all times and on the go. This powerful app includes all the advanced capabilities of the traditional desktop version, offered in an intuitive and feature-rich package. 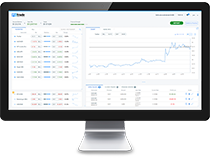 The Fortrade MetaTrader 4 WebTrader is accessible from both PC and Mac browsers, without any download required, and provides you with access to multiple CFD asset classes including forex, stocks, commodities, indices, ETFs and Bonds.